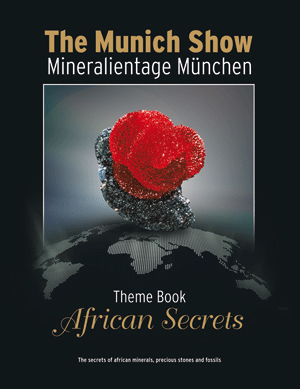 Cover of "Theme Book - African Secrets, The Munich Show". We are the authors of 64 pages in this 208 page book. 2012. T. Praszkier. Morocco. 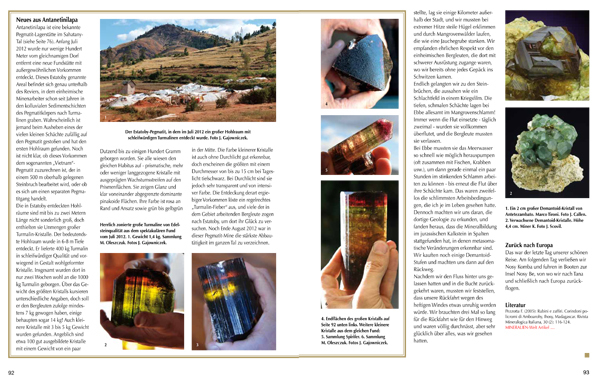 A mecca for mineral collectors. African Secrets, pages 12-57. In English and German leanguage. 2012. T. Praszkier. Madagascar. 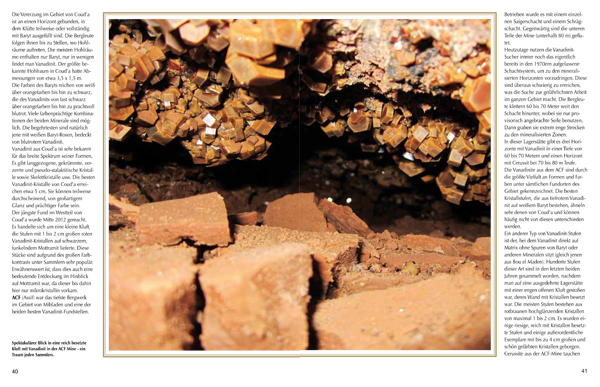 A journey to the Mineral and Gem Localities. African Secrets, pages 76-95. In English and German leanguage. 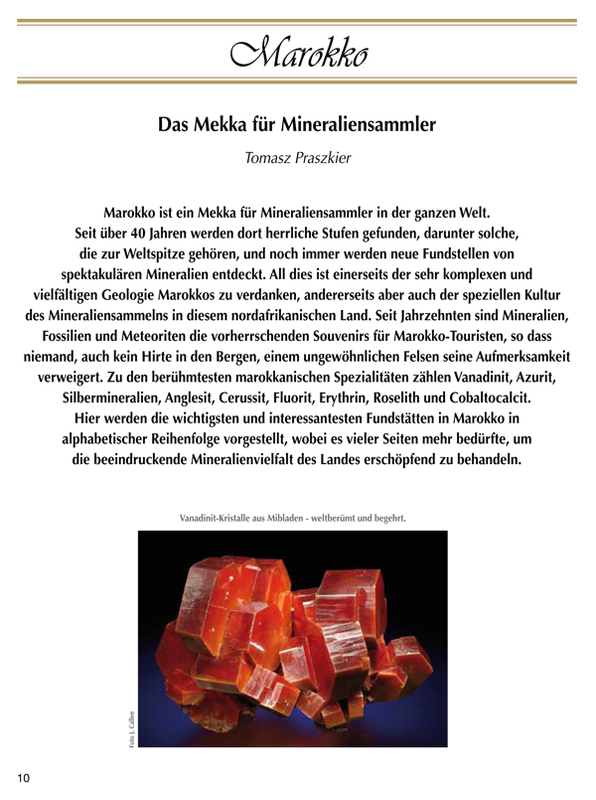 First pages of the Morocco article (German version). Pages of the Morocco article. 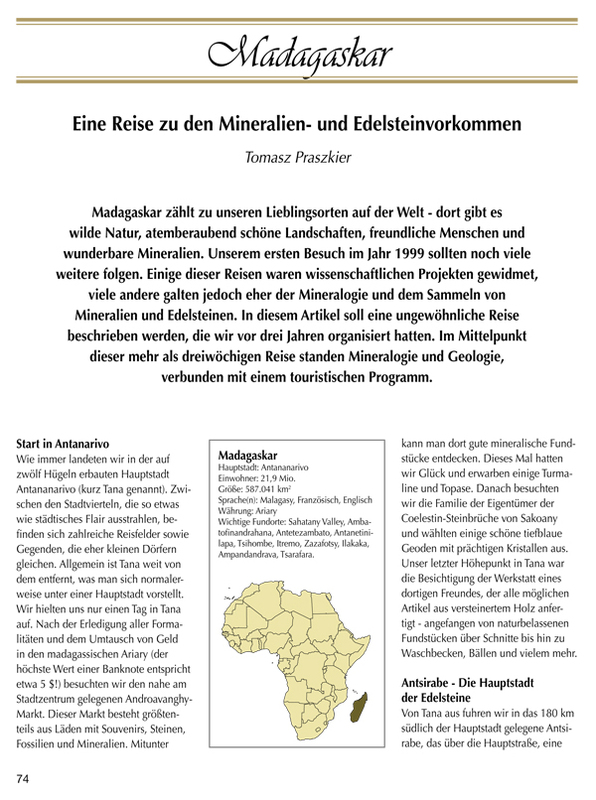 First pages of the Madagascar article (German version). Pages of the Madagascar article.